A grand hotel with unique architectural design, Pinnacle entices you with warm welcome. It is situated on the bank of Sabarmati and in the heart of vibrant, colorful and bustling city, 11 Kms. From Airport and 3 Kms. From the Railway Station. Markets & Main Business Centers are just stone’s throw away distance. It promises true Royal hospitality with every convenience and modern amenities to suit your budgets. It aims at providing a high standard of hygienic environment & comfortable living for the discerning business traveler and corporate guests. Offers the elegance with all the comforts of a modern hotel, capturing the charm of the historical town. 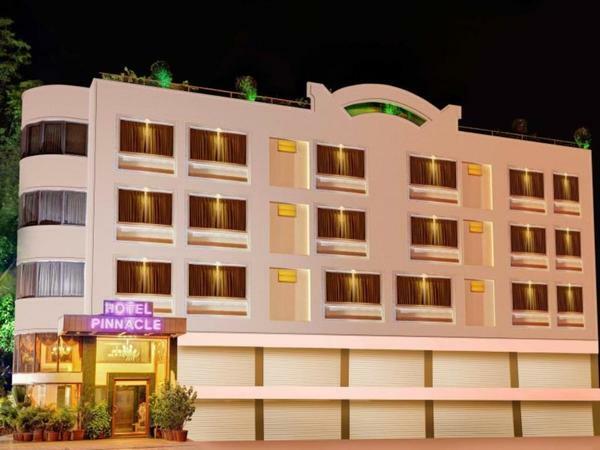 Pinnacle has air conditioned luxurious rooms and suites all exquisitely decorated, furnished and ventilated. Each one of them has a soothing decor of its own kind which boasts of luxurious comforts and style, where you are assured of all facilities to make your stay a memorable one.